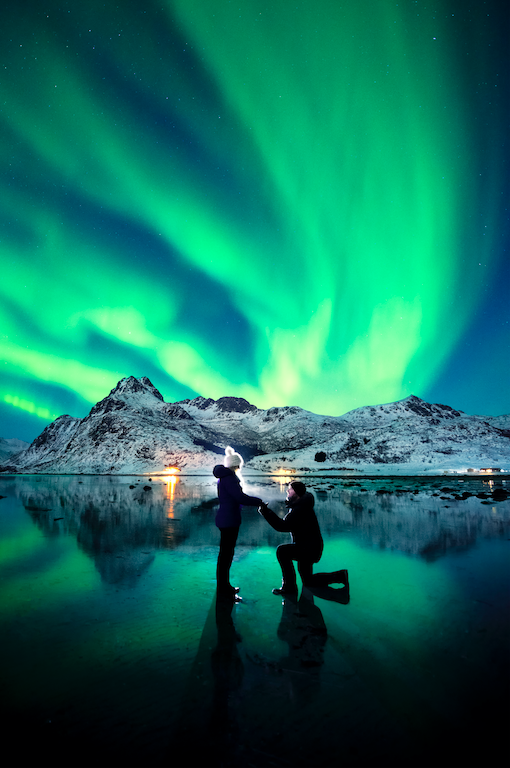 Home / aurora borealis / europe / lofoten / mountains / northern lights / norway / Romantic Boyfriend Proposes Under The Northern Lights... The Pictures Are Amazing! You couldn’t imagine of a proposal that is more jaw-dropping than this one. On March 6, Dale Sharpe asked Karlie Russell, his girlfriend of seven years, to marry him. 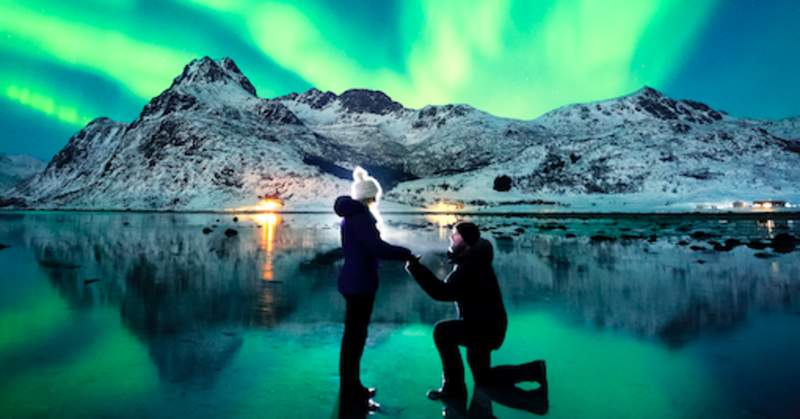 They were exactly under the Aurora Borealis sky in the Lofoten Islands of Norway. Dale placed a torch light behind them to illuminate the shot and set the camera’s self-timer. The partners are both landscape photographers for DK Photography that's based in Australia’s Gold Coast. Together they have seen and photographed the Northern Lights more than 30 times. 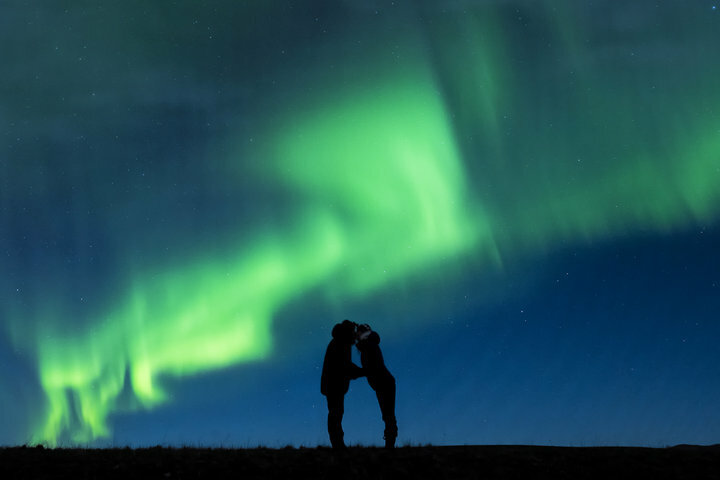 Love under the Northern Lights. To schedule the proposal moment, Dale asked Karlie to take a selfie with him. At first, she resisted, saying that they should find a different spot to capture the idea landscape shot instead. When she finally agreed, Dale got down on one knee. The couple posing in the Canadian Rockies. Dale had normally planned to ask that question nine months earlier on a journey to Iceland. He had put the engagement ring in a bottle, which he told Karlie was priceless and belonged to his mom. However, at the airport, their luggage was overweight, and Karlie decided to throw out the bottle with the $4,000 ring inside. When finally Dale realized what had happened he was devastated and had to save up to buy a new ring. “I politely told her, ‘That’s OK,’ while internally screaming. I didn't want to ruin my proposal plan", Dale told HuffPost. 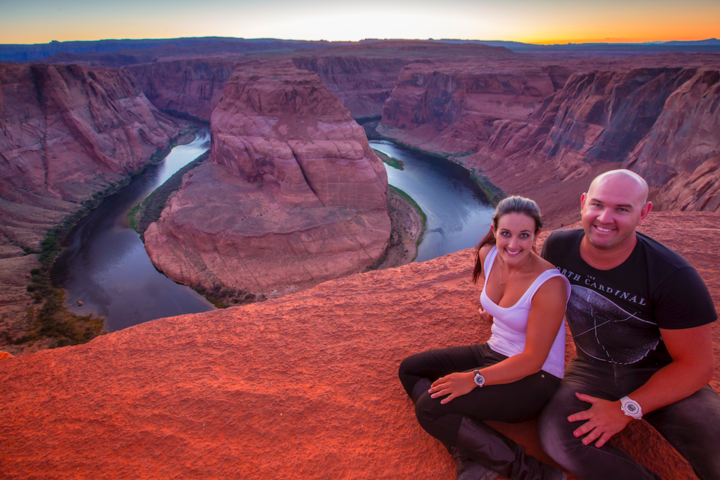 The couple at Horseshoe Bend in Arizona. The partners found each other online while living on opposite sides of Australia. When they first met in person, they took a sunset picture together on the Gold Coast. After seven years, they are happily engaged but with no wedding plans in the near future. As Dale said: “Having to buy two engagement rings means the savings is a little behind!”. Here are more photos from the couple’s adventures. You can also follow them on Instagram or Facebook. Examine top articles on using phonesheriff app and all the related software. Love the way your article is. keep it up.